The differences between the Russian and the Finnish culture of contractual relations and special aspects of requirements for the content of contracts under the Hanhikivi-1 NPP project were discussed at the meeting. Representatives of Pro Juridica Legal Services Agency, Raahe Regional Development Centre, local business environment, Fennovoima company and representatives of the Russian side of the project took part in the event. JSC CONCERN TITAN-2 was represented by Deputy Director – Head of the Contracting Department, Dmitriy Gavryukov. He spoke about the contracting procedure under the Hanhikivi-1 Project, explained the basic principles of contractual works and the way project requirements affect the content of contracts and subcontractor selection processes from the beginning of the procurement procedure to payment for the works performed. 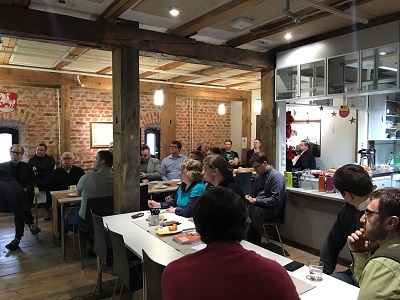 The organizers of the seminar plan to hold such events on a regular basis and thus create a platform for discussing the current requirements of the Hanhikivi-1 Project.